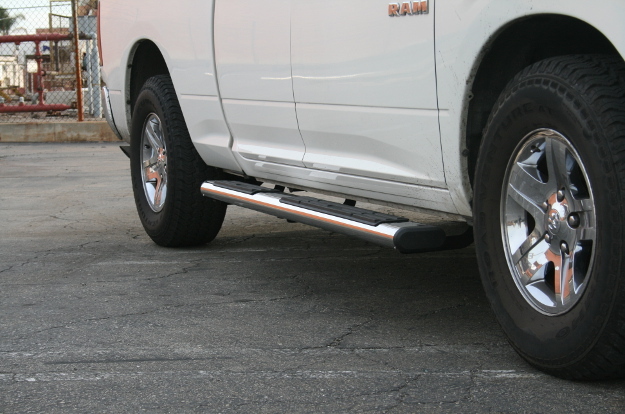 From custom truck builds or commuter SUVs, ARIES 6" oval side bars offer safety, functionality and classic styling. 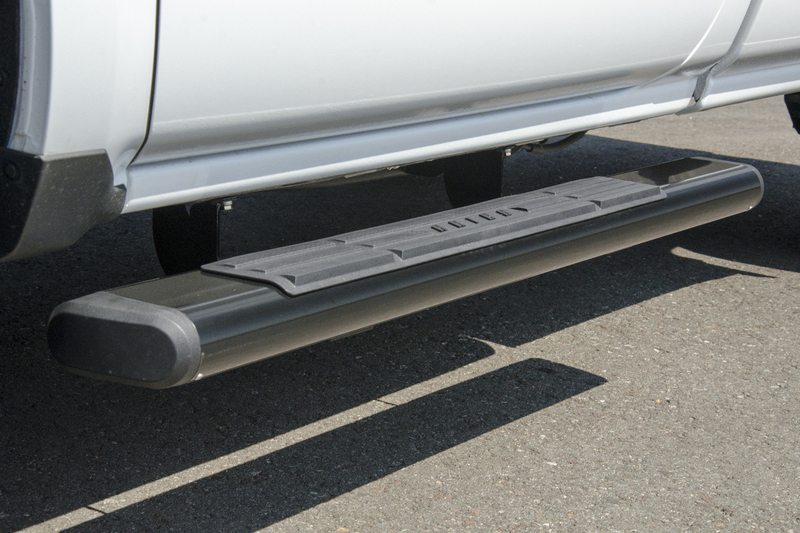 Their design is based off popular original equipment nerf bars, featuring an expansive tube profile, bold end caps and generous, non-skid step pads. 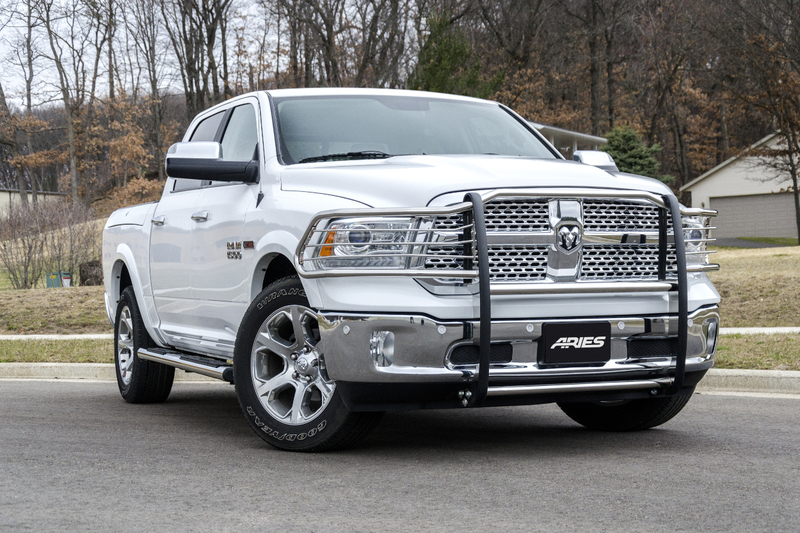 ARIES 6" oval side bars are available in two finish options to perfectly suit the look of your truck. They also install with no drilling required for seamless, OE-like integration. 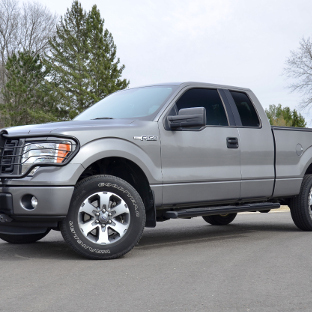 Rather than revamping the entire look of your truck, ARIES 6" oval side bars complement its existing features and integrate with the vehicle like original equipment running boards. 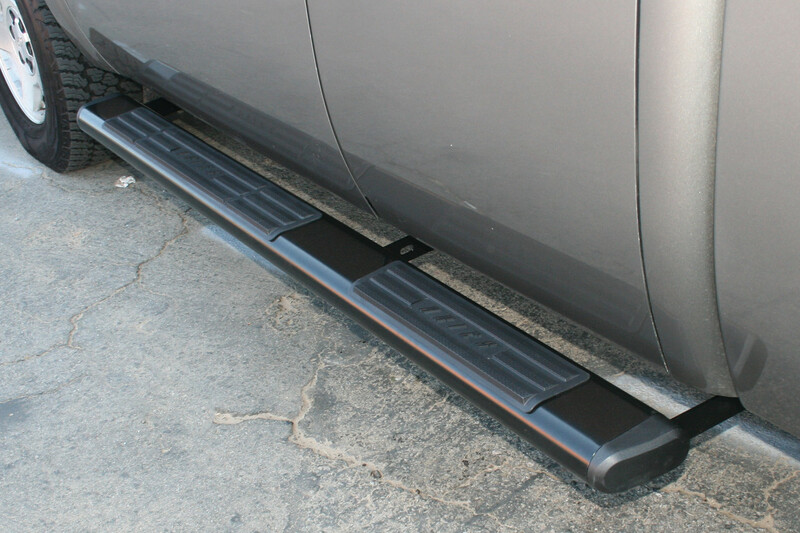 All ARIES 6" oval step bars are engineered for a vehicle-specific fit, meaning installation is faster, easier and more secure. There's no drilling required and no difficult vehicle modifications. 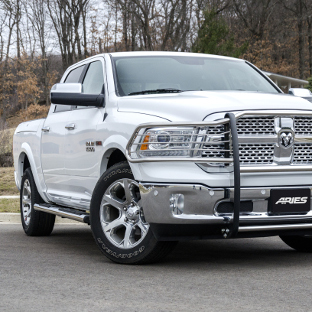 ARIES 6" oval side bars are all about mimicking the look, feel and functionality of popular original equipment nerf bars. As such, they feature an OE-style tube profile. 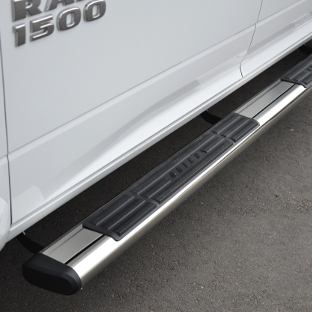 The 6" wide oval tubes offer a sleek, clean accent on the truck, while providing a comfortable, rigid stepping surface. 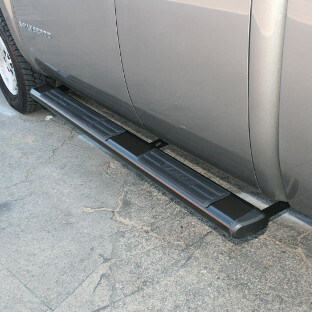 These truck steps are also accented with bold, black end caps. The end caps are angled for a more contoured look, and they are constructed from hard ABS plastic to resist cracking and UV damage. 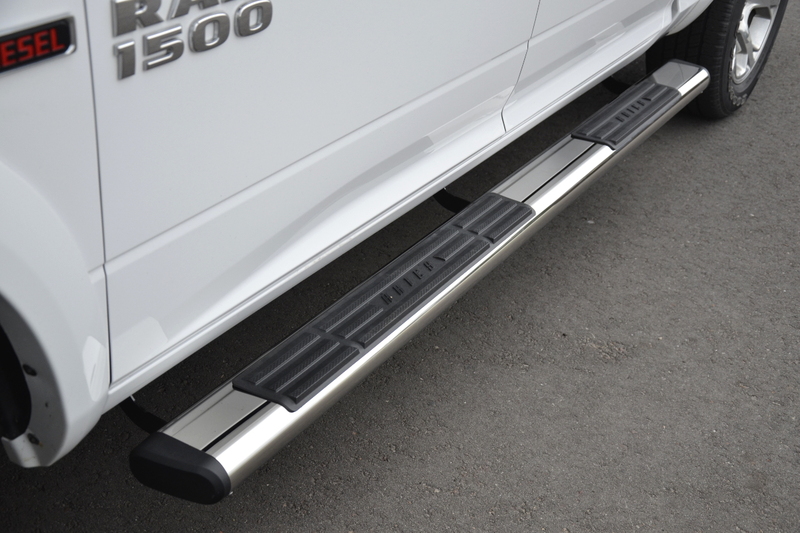 To ensure optimal integration with the existing look of your pickup truck or SUV, ARIES 6" oval step bars are offered in two material / finish options. 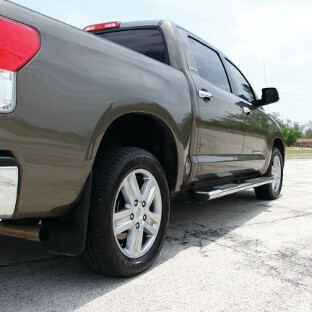 Our stainless steel side bars are made with 304 stainless -- a high-nickel, highly rust-resistant steel alloy that easily outlasts rain, snow, dirt and road salt. 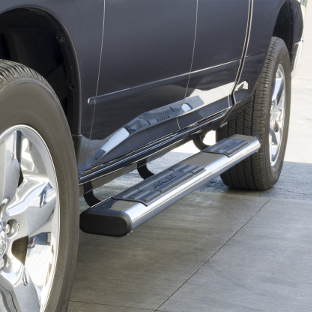 These truck steps are finished with a polished, mirror-like shine. 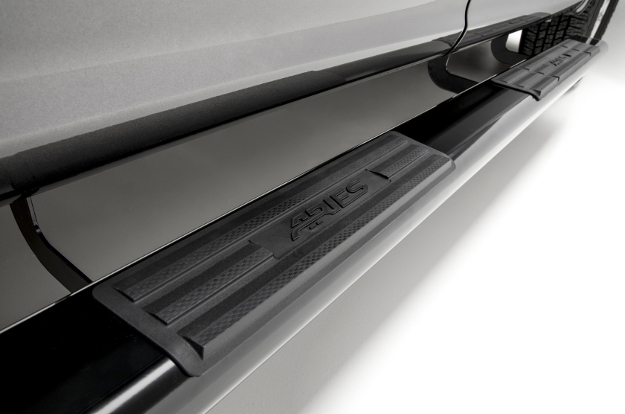 Our black side bars are constructed from aluminum alloy to be lightweight and rust-free. 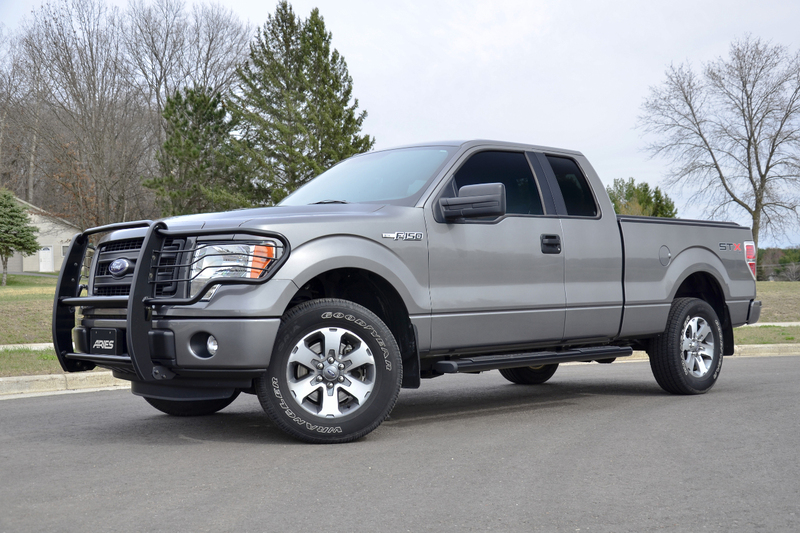 They offer a bold look on your truck or SUV with their durable semi-gloss black powder coat finish. 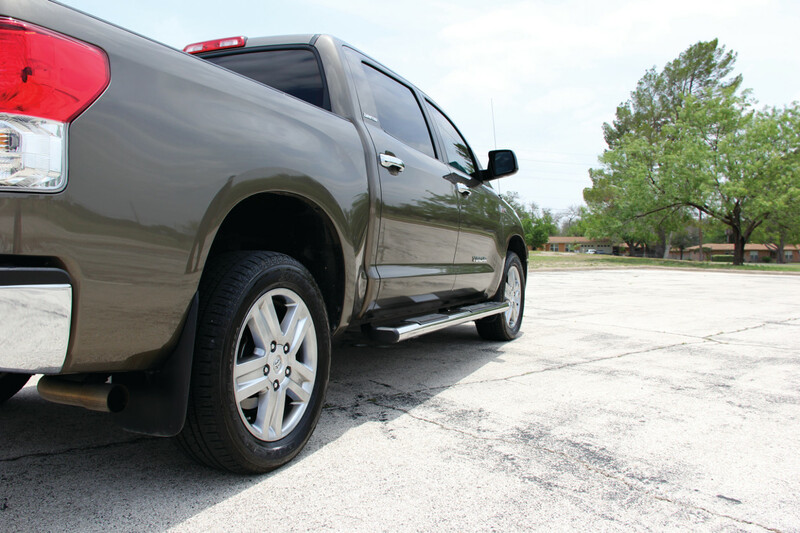 ARIES 6" oval side bars provide a safe, dependable step up into your truck or SUV with their extra-wide, non-skid step pads. The step pads measure 5" wide, providing a comfortable stepping surface. 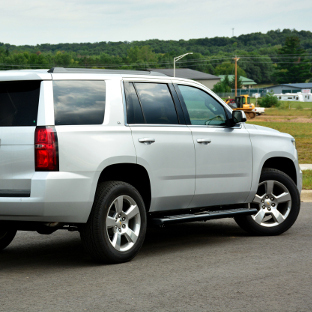 They are also extra-long to ensure non-skid footing right where you need it. The step pads of ARIES 6" oval side bars are made from tough, molded poly for long-lasting crack, wear and UV resistance. 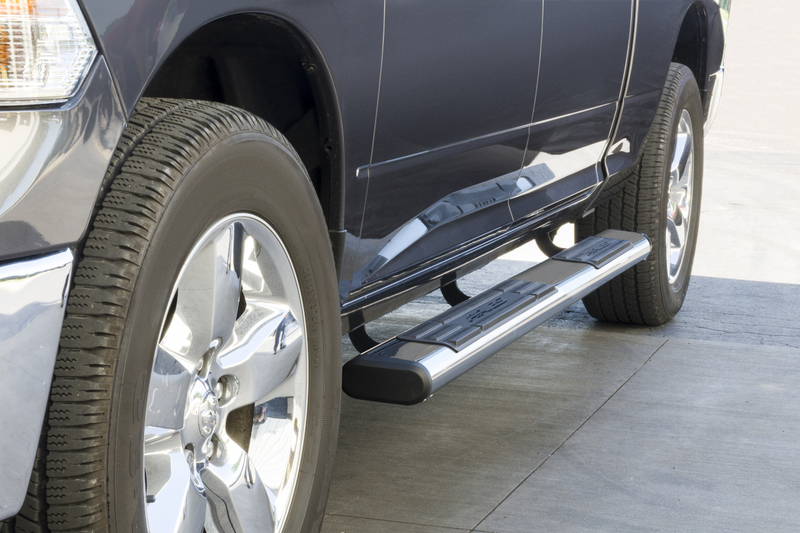 For easy customization and installation, ARIES 6" oval step bars are made for a vehicle-specific fit. 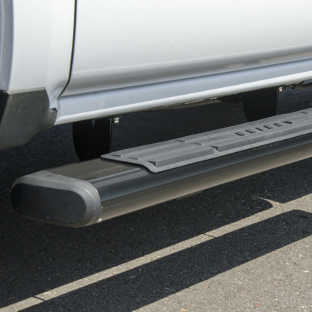 For each truck or SUV application, a unique pairing of running boards and brackets are used. The brackets mount with no drilling required, and the boards have a track system for easy adjustment. ARIES 6" oval side bars mount with high-strength steel brackets to ensure a rigid step. 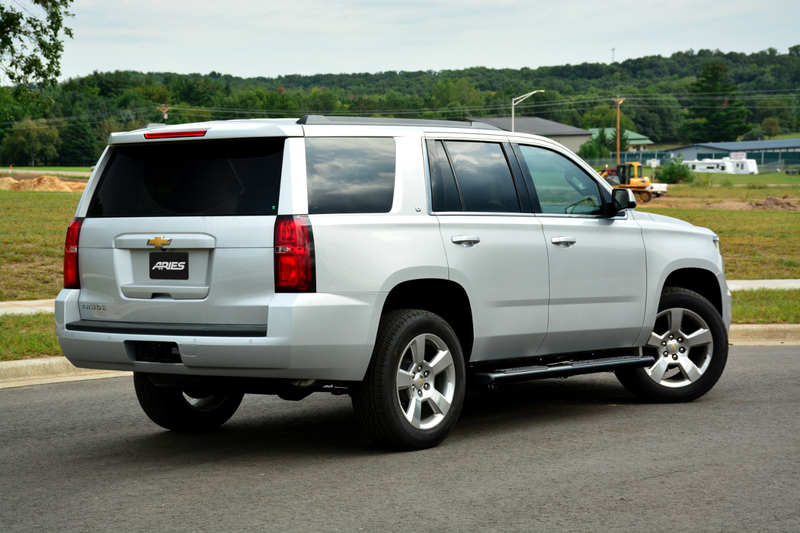 The brackets are also covered in a durable powder coat finish for long-lasting rust resistance.